Description: Haas & Haynie is a business categorized under real estate developers, which is part of the larger category land subdividers & developers. 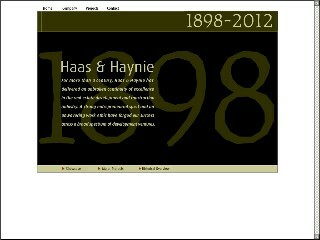 Haas & Haynie is located at the address 395 Oyster Point Blvd # 309 in S San Francisco, California 94080-1931. The President is Paul B Fay Iii who can be contacted at (650)588-5600. Location & access map for "Haas & Haynie"